Live in Harlem’s crown Jewel, PS90 Condominium, in a large and luxurious fully-furnished 2-bedroom, 2-bath. Apartment features include 12-foot ceilings; 9-foot windows; DuChateau hardwood floors; central heat & air; an attended lobby; live-in super; gym, media room and billiards room. 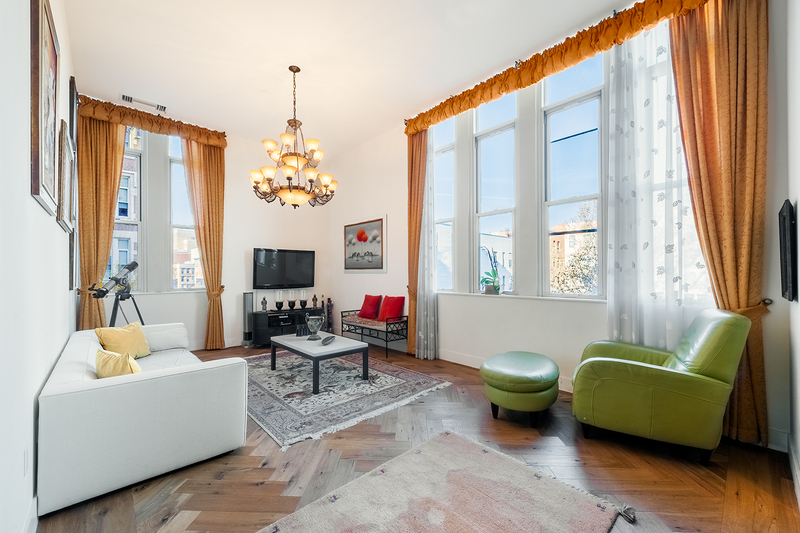 Fully-furnished in an elegant style combining Central Asian carpets and décor with contemporary interior design and functionality, apartment 3L at PS90 offers an unparalleled level of comfort. The space is grand in terms of square footage, ceiling heights, and volume and includes perks such as an open kitchen; dedicated dining area; large closets; an entrance gallery and an en-suite 4-fixture master bath.